We must remember that despite the horror we see in the starving time, that the trials endured produced a stock of Virginians determined not to repeat their miserable mistakes, determined to make the absolute best of their available resources, and to best absolutely their inhibitive obstacles. This paragraph struck me so strangely that I needed to reread it a couple of times. What miserable mistakes? What inhibitive obstacles? And why such an awkward and vague phrase as “inhibitive obstacles”? Also, why the passive tense, and why the need to carve a bit of uplift out of the Starving Time? After all, what it most directly produced was not a bunch of tough and newly wise Virginians, but a group of half-dead Englishmen and -women who desperately wanted to flee—who did flee until they were forced to turn around by the just-arriving new governor. It also produced—or really just escalated—a war, the First Anglo-Powhatan War to be precise. In an effort to ease conditions at Jamestown and possibly to distance himself from his critics, [John] Smith sent two parties of men to live off the Indians. One group, under Francis West, traveled to the falls of the James River; another, under George Percy and John Martin, went south and attempted to meet with the Nansemond Indians. Both missions failed badly, with each group losing about half its men in fighting. When Smith sent reinforcements south, they found piles of English corpses, their mouths stuffed with bread “in Contempte and skorne,” according to Percy. 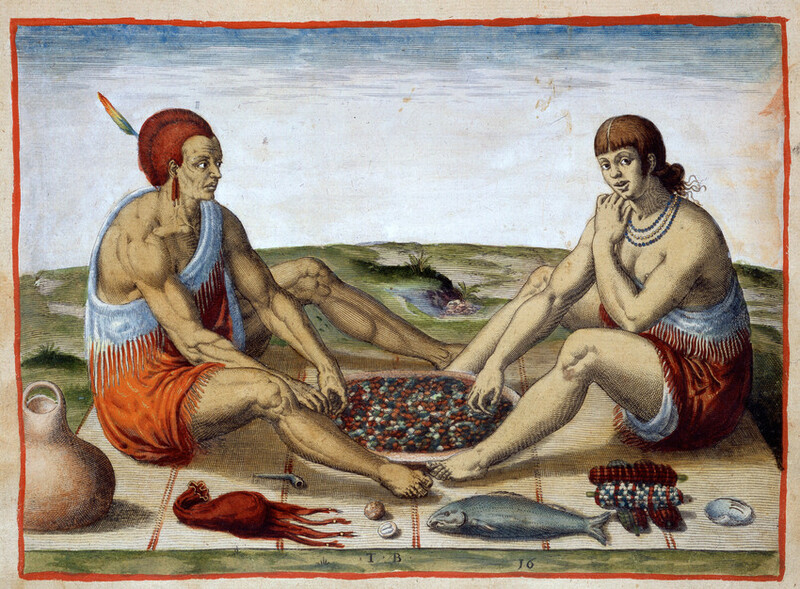 The Powhatans understood that without food, the English could not continue in Tsenacomoco, and the Indians controlled the food. So they did. And as the violence continued, Powhatan made the decision to cut off the English colonists’ access to food outside their fort. This was the proximate cause of the Starving Time, and certainly the largest of any number of “inhibitive obstacles” faced that winter. This context strikes me as crucial in any attempt at understanding what mistakes the English made, how they might have done better with the resources around them, and how, in the end, they bested those inhibitive obstacles. They were not the only ones occupying that land, and we must not forget it.